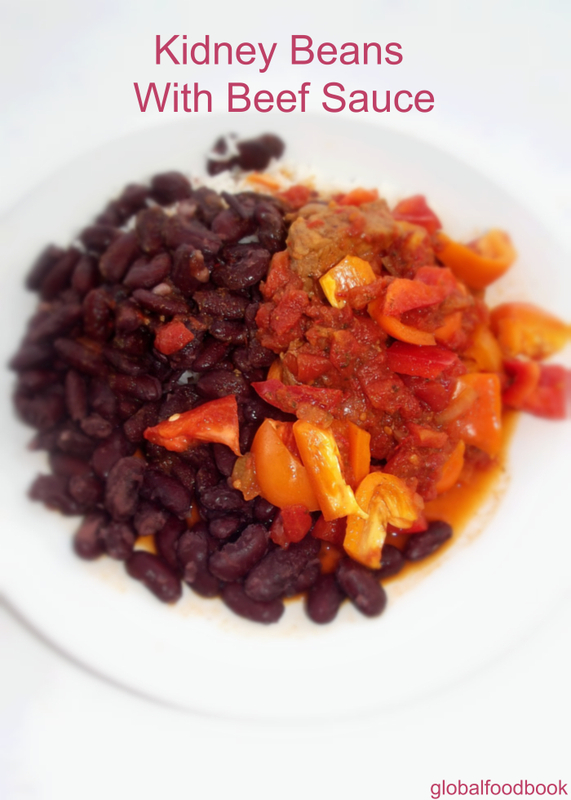 Kidney beans with beef sauce is a great meal to come by. It is so delicious, savoury, tasty but most importantly, very healthy. It is also very colourful on its own and you can pretty much add vegetable if you so desire. You can prepare this meal either plain or garnished with other side dishes, whatever you feel like, it's up to you. I have made my typical 'kidney beans with beef sauce' by adding chopped tomatoes, bell peppers, spices, beef and vegetable oil. The kidney bean belongs to the pulses family and a variety of the common bean Phaseolus vulgaris. It's name originated from it's visual resemblance in color and shape to a kidney. Kidney beans became common in South and Central America due to Indian traders migrants who brought kidney beans with them from Peru. Kidney beans were later introduced into Africa and Asia by Spanish and Portuguese traders. ~ Kidney beans and other types of beans are very nutritious and healthy. ~ Kidney beans are rich source of cholesterol-lowering fiber. ~ They have high fiber content which prevents blood sugar levels from rapid rise after meal, thus making them a perfect choice for diabetics patients. ~ Kidney beans are very rich source of protein, folate, dietary fiber, vitamin B1, copper, phosphorus, manganese, trace minerals, iron, potassium, and magnesium. ~ Watch out for stones and spoilt beans and remove from the good ones. ~ Place the beans in a bowl, wash and rinse them thoroughly under running water. 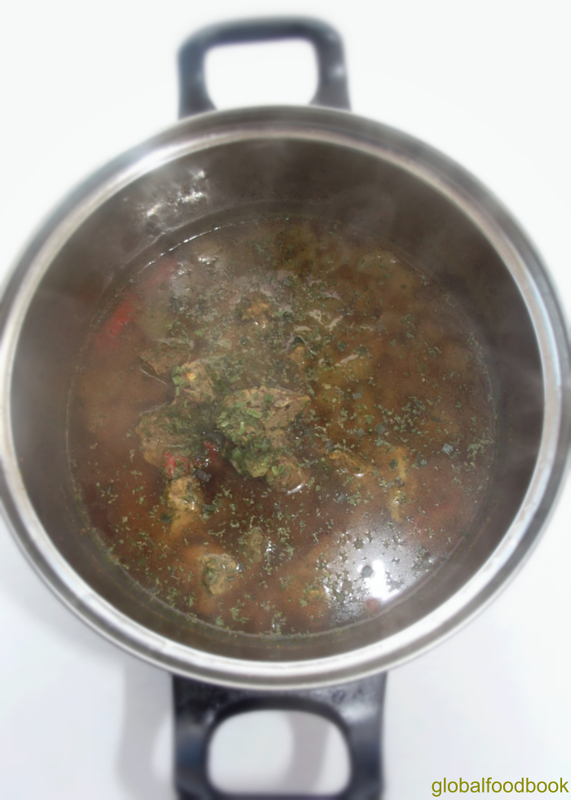 ~ It is optional to pre-soak the beans in hot water so as to reduce the cooking time. ~ After soaking, ensure to decant the water, wash the beans again before finally cooking. 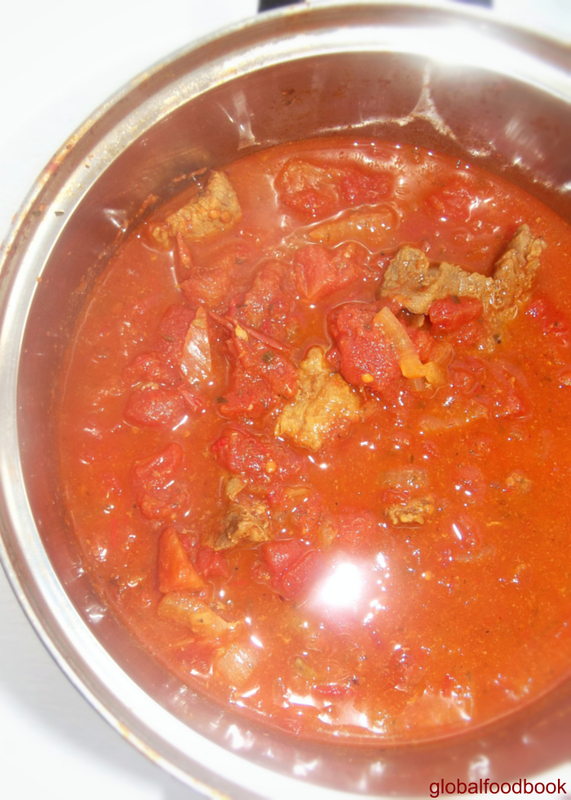 ~ While cooking the beans, you can also prepare the beef sauce alongside. 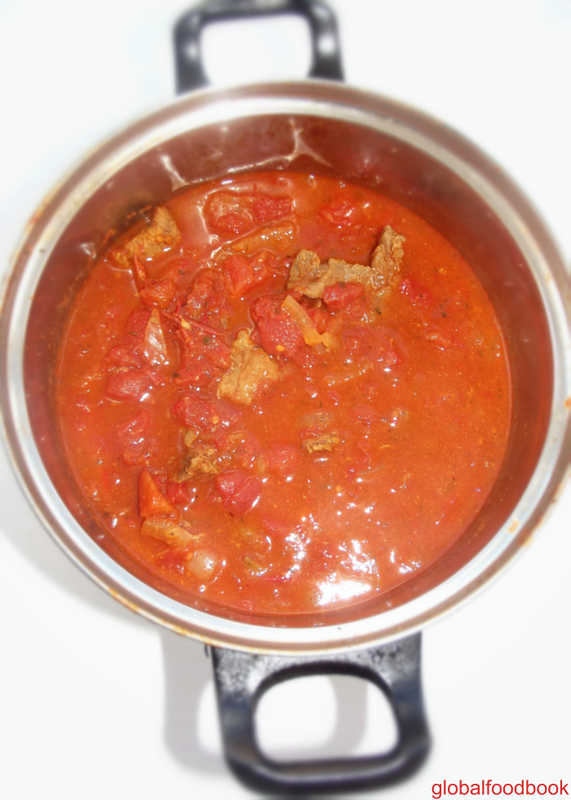 All you need are; chopped beef, bell peppers, chopped tomatoes and spices. 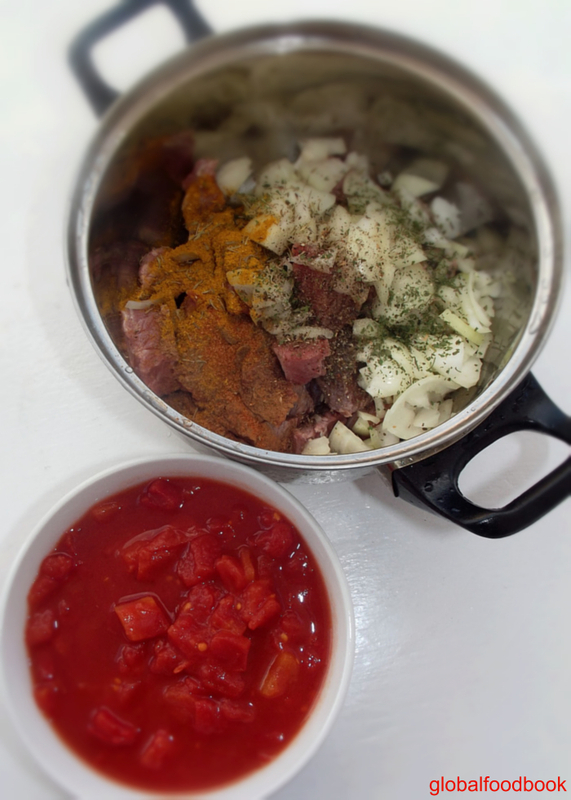 Find below my cooking steps for both the kidney beans and beef sauce. 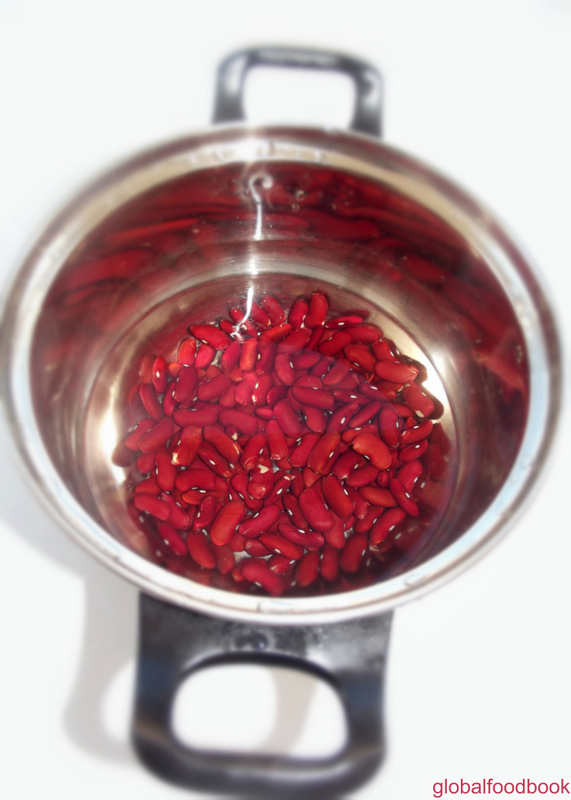 Separate kidney beans from stones and spoilt ones before washing thoroughly in clean water. 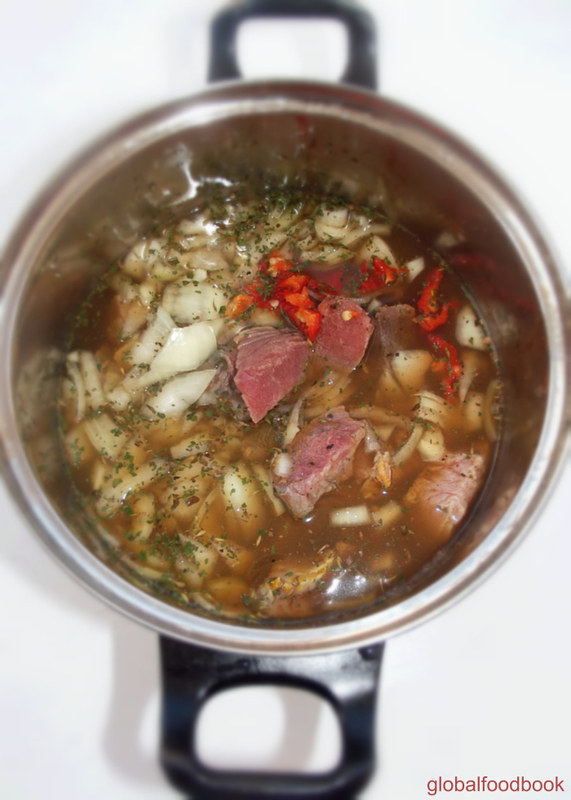 Add in a clean pot, pour in boiling water and allow to cook until tender. 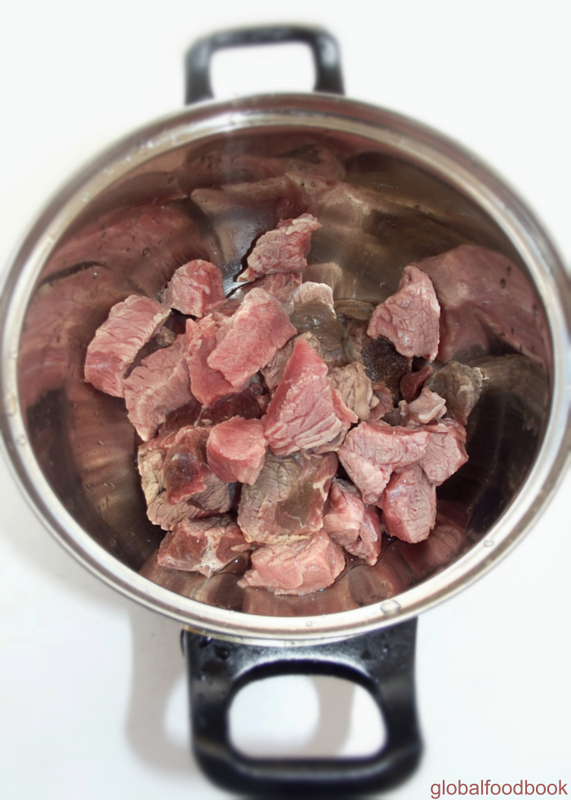 Wash beef, add in a pot, add water and all the listed ingredients above and cook together until all the excess water has dried out. Bring down from fire and serve together with the cooked kidney beans.